Pure Leaf Chamomile Herbal Tea is made with carefully selected chamomile flowers for a unique and delicious taste your guests will appreciate. Ideal for restaurants, cafés, hotels, and high-end workplaces, this calming tea features a sweet honey-like aroma and delicate buttery, full bodied flavor and is naturally caffeine-free, so it can be enjoyed day or night. 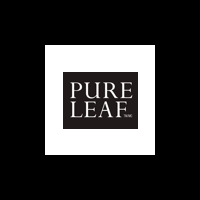 All Pure Leaf herbal teas are simply picked, dried, and crafted for an exceptional flavor that will please any tea lover. Pure Leaf pyramid tea bags, strings, and tags are made from plant materials that are fully renewable and compostable, and both the envelope and carton are recyclable.